Looking for your student destination? Cambridge might not initially come to mind if you're aren't considering the real deal of Cambridge University, but there multiple reasons why this city should be one to consider. We've put together a selection of city guides to help you find the right destination for your studies. 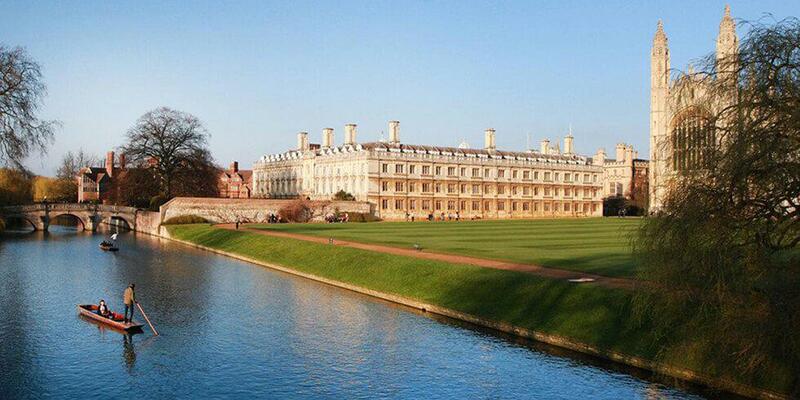 Check out everything great about Cambridge here. Cambridge University is one of the top universities in the country, ranking at number 1 in the 2017 University League Table! Cambridge is also the home of Anglia Ruskin, a modern, global university ranked in the top 200 universities in the UK. Anglia Ruskin is recognised for its world-class Science and Technology research centre, regarded as world leading or internationally excellent by REF (Government Research Excellence Framework). Cambridge sits about 50 miles north of London, a perfect location for getting you to the big smoke if you fancy the occasional weekend trip to London. Did you know that the structure of DNA was first discovered in Cambridge? This city is renowned for its great history, from scientific milestones to historic buildings much like the beautiful gothic King's College chapel. Interested to see more of Cambridge? Why not spend the day punting in a boat on the river. Holding groups of 5 people, it's a great outdoor activity to experience and take in the beautiful historic town you might one day call home. Shopaholics, Cambridge could be the place for you. Boasting a range ofshopping outlets from daily markets to boutique and high street stores. Spend the weekend making the most of your amazing UNiDAYS ID in Grand Arcade, cambridge's newest shopping centre with more than 60 high street stores! From classic pub lunches to fine dining, Cambridge offers a seriously delicious range of food outlets. Don't forget you can use your UNiDAYS discount to get up to 40% off at Zizzi's! plus you've got the amazing Brooklyn-style burger joint Butch Annie's to sink your teeth into. A university town wouldn't be complete without some good old student nights. Whether you're looking for a buzzing happy hour bar like Revolutions or a classic student night like Fez club, Cambridge has a lot to offer.